Providing you the best range of centrifugal pp pump, corrosion resistant polypropylene pumps, polypropylene pumps, pp pumps, corrosion resistant pp pump and vertical seal gland less pumps with effective & timely delivery. We are a leading manufacture and supplier of Centrifugal PP Pump. Water Treatment Plant, Effluent treatment Plant, Electroplating, Pickling & Steel rolling mills. Scrubbing of corrosive gases like NH3, CO2, SO3, SO2, I2, F2, Br2, CI2, etc. For Handling liquids in various industries like Textile, Paper, Cellulose, Sugar, Steel, Food Having temperature range, materials, etc. 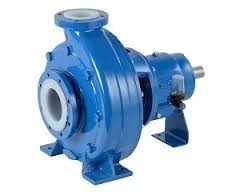 Product Description:We offer Corrosion Resistant Polypropylene Pumps. Capacity: Q- up to 300 m3/hr. TDH H - up to 64 mtr. For handling liquids in various industries like textile, paper cellulose, sugar steel, food having temperature range, materials, etc. With the help of our experienced engineers, we are able to manufacture, supply and export high quality Polypropylene Pumps. Our expert professionals make sure that qualitative components and other material are used to manufacture the offered range of pumps. Post-production, these pumps are inspected on certain parameters of quality to rule out every possibility of defect. We offer Corrosion Resistant Polypropylene Pumps. 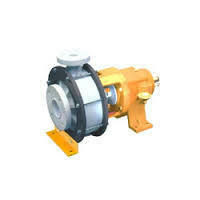 We are a leading manufacture and supplier of PP Pump. High capacity transfer pump, filter press for dyes and chemicals, descaling, oil & other fuels functioning. 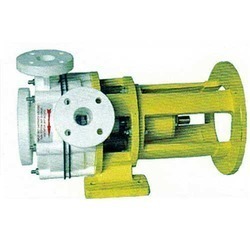 Product Description:We offer Corrosion Resistant PP Pump. Scrubbing of corrosive gases like NH2, SO2, etc. 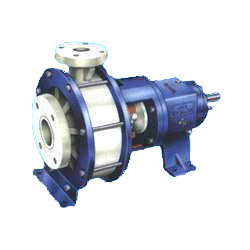 Product Description:Our organization is counted amongst the most distinguished providers of Vertical Seal Gland Less Pumps. Products range we offer is widely demanded in the industry due to their superior in quality and designing. 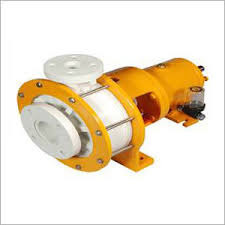 This range of Vertical Seal / Gland Less Pumps is developed by the team of professionals using top class components and latest technology as per the set industry norms. 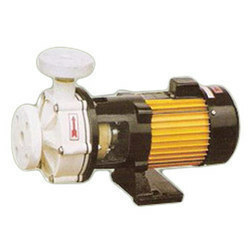 Product Description:We offer Acid Pumps. These are corrosion resistant polypropylene centrifugal pumps. 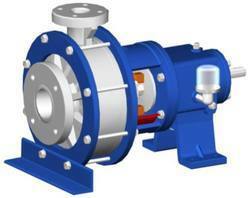 Product Description:We offer Corrosion Resistant Polypropylene Centrifugal Pump. Looking for Polypropylene Pumps ?